The Boyd House – 985 Duchess Avenue, West Vancouver. Image courtesy of Eve Lazarus. Kerry McPhedran is selling the house she bought in 1972. It’s not because she wants to—as a freelance writer, it’s her retirement plan, and because of its tony West Vancouver address, it comes with a hefty $1.9 million price tag—too steep for most of us, right now she is just focusing on getting quotes for conveyancing. And, that’s a problem for Kerry, because she won’t sell her home to just anybody. The house nurtured her when she needed it, she values the part it played in the West Coast architectural movement through its architect Ron Thom, and the aesthetic—one that works with the landscape, rather than imposing itself upon it. I parked on Duchess and climbed the stone stairs to the house, past massive cedars, dogwoods, sword ferns, salal and Oregon grape. You can just see the house from the street—the floor to ceiling glass walls and low roof really do meld with the surroundings. The house was designed by Ron Thom in 1954, and named for its first owners—Joan and Bruce Boyd, artists who had studied with Thom at the Vancouver School of Art, along with B.C. Binning, Jack Shadbolt and Gordon Smith. It was a heady time for art and architecture and the West Coast’s challenging terrain and tight budgets were also the inspiration and career starters for Thom, Fred Hollingsworth and Arthur Erickson. 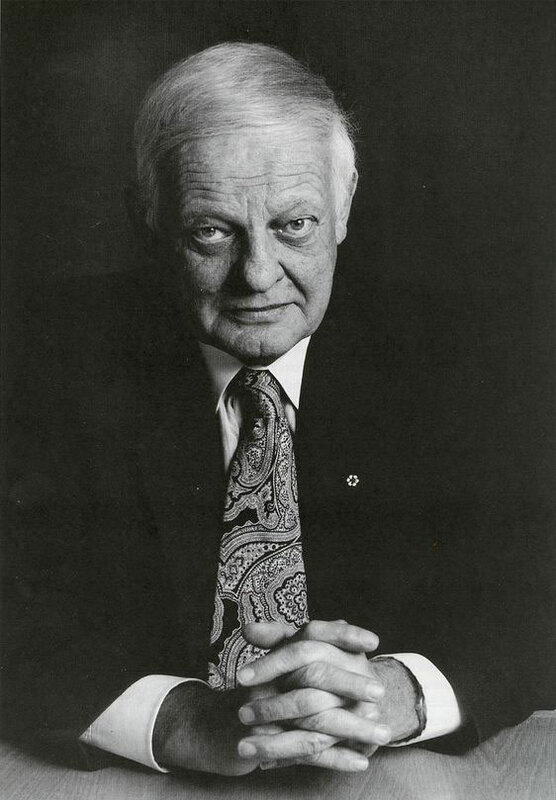 Because long before he designed the BC Electric Building, Massey College, the Shaw Festival Theatre, and the Toronto Zoo, Thom designed more than 60 houses, mostly on the North Shore. 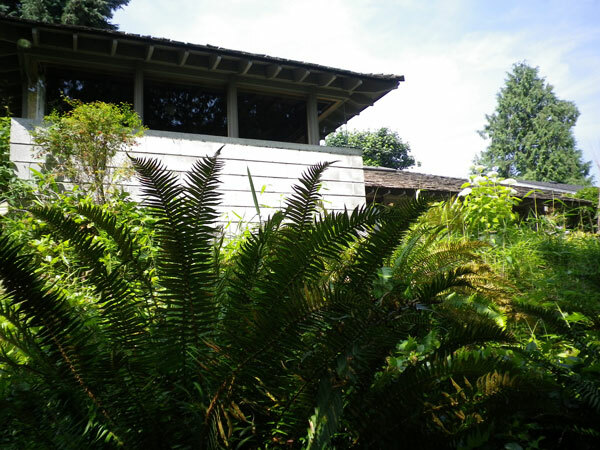 Many of these were bulldozed, including the Lynn Valley house Thom built for himself in 1948. The houses were dubbed “midnight specials” because Thom and Hollingsworth designed them for $100 each and late at night to supplement their income from their day jobs. “We were doing little wee houses, mostly for people with no money—usually neighbours and art school graduates and staff,” he said. Kerry is the third owner. Her office is in the same room where the Boyd’s once painted, and where the second owner, a voice coach kept her piano. The house is small by today’s standards. But the open plan design, tongue-and-groove cedar, massive cinder-block fireplace, and what’s left of the original ox-blood coloured concrete floor, give it a snug, cozy feel. Kerry has put her own stamp on the house. In 1977 John Keith-King designed a new kitchen and dining room and enlarged the master bedroom. Russell Hollingsworth, Fred’s son punched in the skylights. Kerry wants a new owner, not just a buyer who will tear it down, but she’s also realistic. 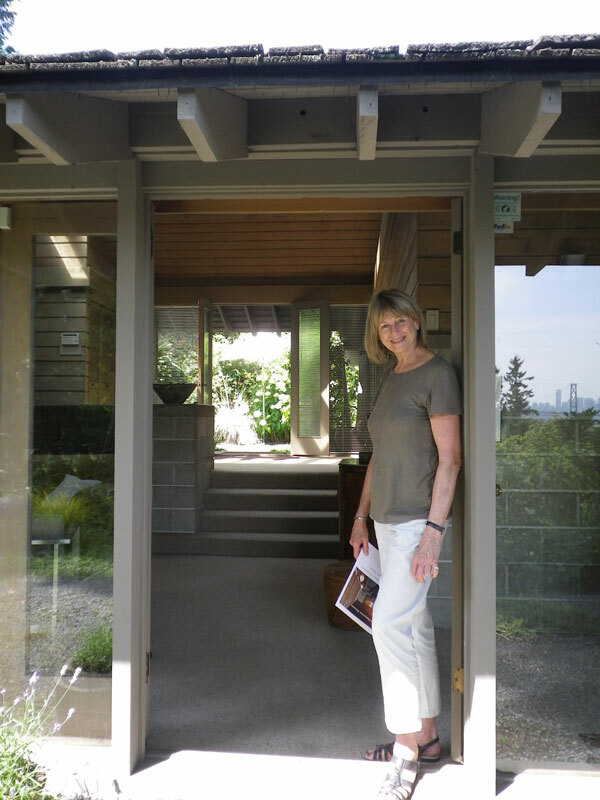 Her house was just added to the West Vancouver Community Heritage Register, and, just to be clear—because this seems to instill fear in buyer’s hearts—this is a good thing. Being on the Register does not mean designation, it means that a new owner will be eligible for a bunch of incentives, including the potential to build a second house at the bottom of the large lot. The carpet’s a little tired, the bathroom needs a reno, and the skylights could be updated, but it’s time for someone else to put their stamp on the house and love it as much as Kerry. Maybe even become the house’s custodian for the next 40 years. Kerry McPhedran at the Boyd House. Image courtesy of Eve Lazarus. Eve Lazarus is a freelance writer with a passion for history and heritage houses. She is the author of At Home with History: the secrets of Greater Vancouver’s Heritage Houses, a member of the North Vancouver District Heritage Commission, and blogs obsessively about buildings and their genealogies at www.blog.evelazarus.com. Her next book with house stories of Victoria’s murders, ghosts, brothels, artists and sea captains (not necessarily in that order) will be published this fall.